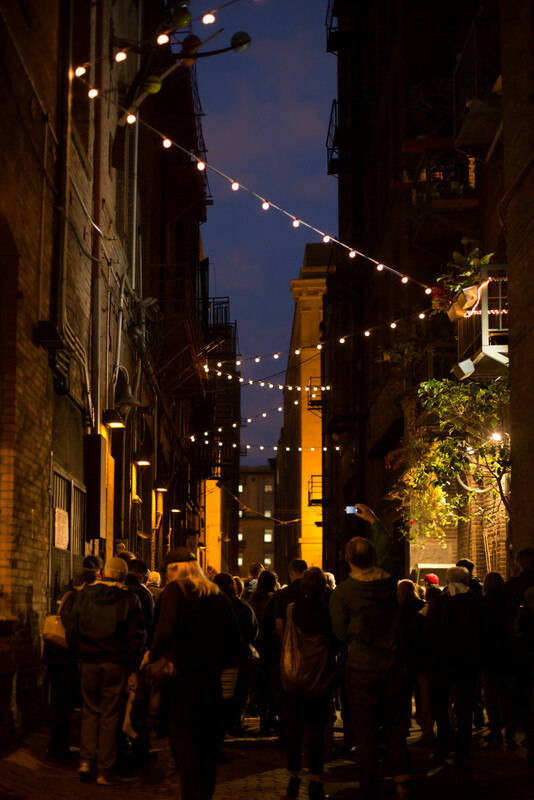 Alleys offer the opportunity for Pioneer Square to make active streets, feed its vibrant arts culture, draw people to local businesses and even improve basic infrastructure. Pioneer Square businesses were stung by the Great Recession. Retailers fled. Office workers left after work. The neighborhood felt empty, and the alleys reflected the pain. Illegal activities and garbage made them off-limits to most. Residents even kept a log of police calls about illegal activity in their alley. During this time, the International Sustainability Institute, ISI, set up shop in the neighborhood. 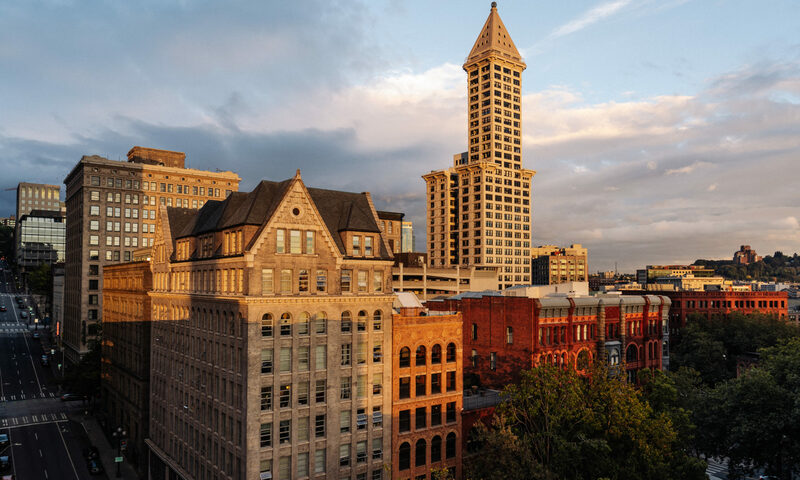 It was working on a collaborative study of downtown Seattle’s public spaces with Copenhagen-based Gehl Architects. The study, surprisingly, identified Pioneer Square alleys – lined with nineteenth-century brick buildings – as potentially some of the city’s great pedestrian spaces. The biggest hurdle was that no one had yet imagined the alleys as anything but a place for garbage and crime. ISI set out to redefine the space. Its method: fill the alleys with people. The first alley party on a rainy fall night in 2008 drew a small crowd of neighbors and passerbys. The next party drew still more. Soon, people from other alleys wanted to host events. The addition of revolving art exhibits, regular events and more healthy activity, led residents to begin naming their alleys and dreaming up ways to improve the spaces. Buildings tore the plywood off their back windows and residents put out hanging flower baskets. People increasingly turn the corner to walk down these passageways and discover history, art and small shops. In 2011, the City of Seattle designated Nord Alley as a Festival Street, allowing ISI to close the alley to cars on select days. 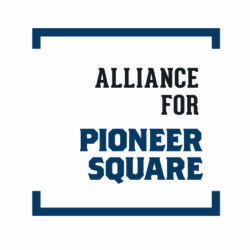 ISI teamed up with the local business improvement association, the Alliance for Pioneer Square, and the increasingly popular alley events drew people to the struggling neighborhood. In tandem with a monthly art walk, alley events became a destination unto themselves. Since that first rainy party, people have attended showings of the World Cup, the Tour de France, dance performances, cat adoptions and poetry slams. The events helped create a buzz about Pioneer Square during difficult economic times. New retail shops, housing and offices now are moving into the neighborhood. The alleys are entering a new phase as businesses take advantage of them as great places. In 2011, Back Alley Bike Repair started serving bike commuters from a 700 square foot space that fronts the Nord Alley. Casco Antiguo built a deck out onto an alley for dinners. And other shops and businesses are reconfiguring themselves to utilize the alley. What’s the next phase? Now that people are using the alleys, they want them to be more accessible. With support from the City of Seattle Department of Neighborhoods, ISI sponsored a community-driven alley design process and hired engineers and architects to create a design that speaks to the area’s history, make alleys accessible to everyone, and creates an easy-to-maintain surface. A lighting plan gives property owners aesthetically pleasing options with two alleys lit with cantenary lights. Nord Alley and Pioneer Passage are currently under construction to add new stormwater infrastructure and surfaces. The project unites the community to expand Pioneer Square’s pedestrian-friendly streetscape to its alleys. It works with city entities and leverages funds from government, private foundations, and local businesses and ties together a wide variety of residents, designers, community organizers and students. In time, the alleys will create a fine-grain walking grid for Pioneer Square pedestrians and a home for small and innovative shops.